xoxo, Jen: Candy Lacquer: Springtime! Candy Lacquer launched their springtime collection back in early April, but asked if I'd like to review some so I jumped at the chance! She sent three of the six and I liked them all, of course. These are available right now at Candy Lacquer's shop. 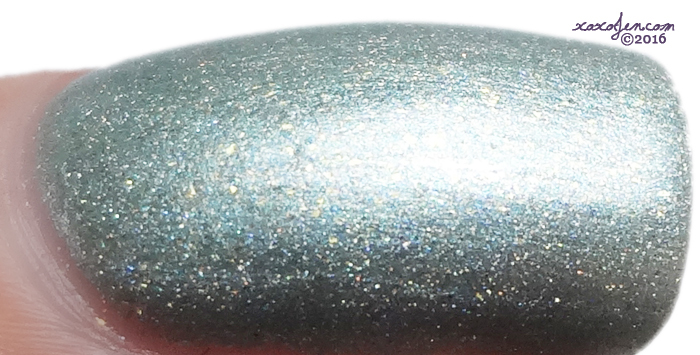 In Bloom is a lavender holographic polish with iridescent shimmer. Spring Forward is a mint green holographic polish with iridescent shimmer and a few gold microflakies. 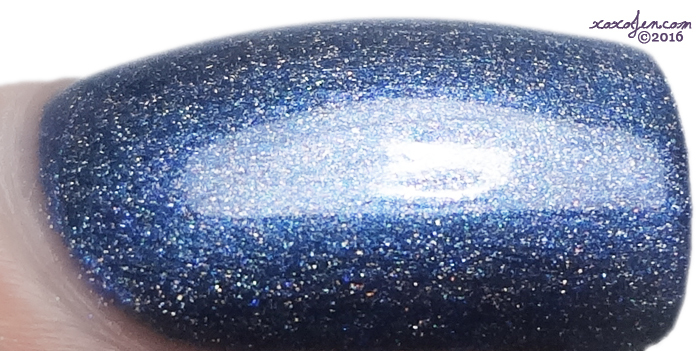 Deep End is a denim blue holographic polish with iridescent shimmer. I wore two coats of each of these with topcoat. These are smooth to the touch and dry to a semi-gloss or satin finish on their own. The formula is consistently good and easy to work with based on the (now) five CL polishes I've tried so far. I hope you have enjoyed the review! Some nice colors they are.